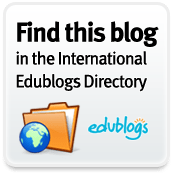 Back on the 4th March, I posted about the imminent creation of the TED-ED Brain Trust who were inviting people to register their interest in the TED-ED project. TED-ED have now just launched the brain trust as a forum for all interested parties (and over 10,000 people apparently are!) to contribute to the development of TED as an educational tool, and to contribute to a community “capable of revolutionising education”.